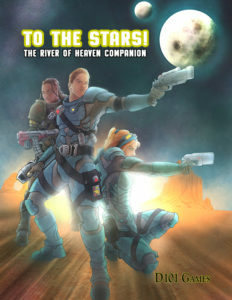 To the Stars is the River of Heaven Companion and is a collection of articles and adventures for our D100 OpenQuest powered Science Fiction RPG, River of Heaven. What to do with this setting? Organisations of the River of Heaven Universe.